Long a popular sport in Grenada — the Grenada Motor Club (GMC) has embarked upon a new era, hiring the services of a dedicated marketing and public relations company, to allow the motor racing events to reach their full potential here in the Spice Isle. Mr Angus DaBreo, President of the GMC, thanked sponsors, supporters and media personnel for their attendance at the press launch which was held at Excel Plaza, Grand Anse on Thursday, 18 February. Minister for Implementation, Hon. Alexandra Otway–Noel, noted that Motor Racing is one of the sports which is contributing towards tourism integration in the region. 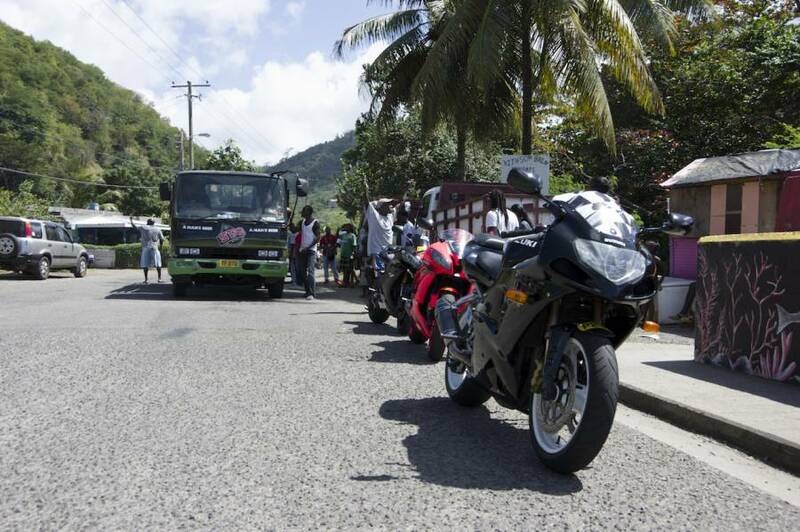 “The Grenada International Drag Racing is another important event that brings attention to Grenada. 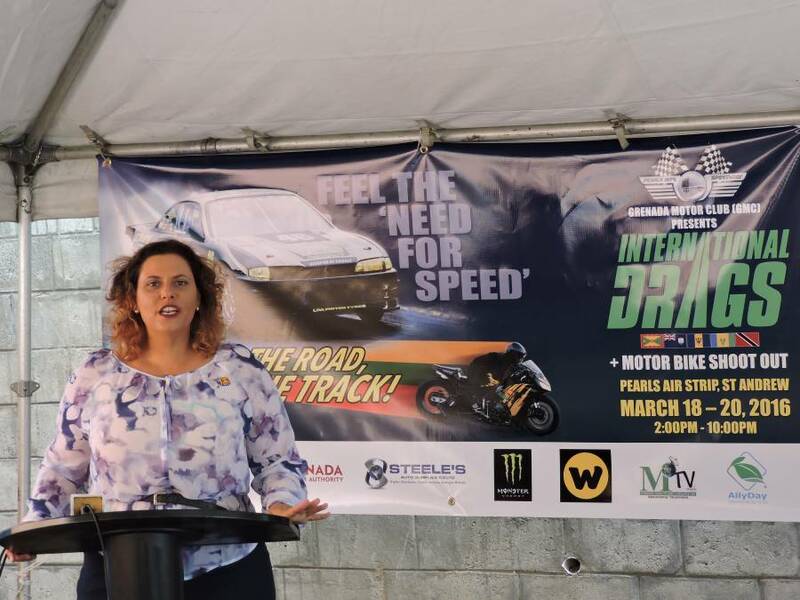 Sports is a wonderful way to integrate people, and the Drag Racing competition does this by attracting participation from a number of islands across the region. Events of this kind also give us the opportunity for inter-island trade and to promote inter-island transportation,” she commented. Minister Otway–Noel also commended GMC with respect to the emphasis it is placing on promoting safety at its events, alongside their strong safety message to the driving population, with their new by-line — ‘Drive on the Road, Race on the Track.’ In her capacity as Minister for Implementation, the Minister assured the GMC of the support and endorsement of the Ministries for Sports, Culture & Tourism. The upcoming International Drag Racing event scheduled for 18 to 20 March will commence with the arrival of the visiting cars from Antigua, Anguilla, Trinidad & Tobago, St Maarten, & St Vincent, on the afternoon of Friday, 18 March. Their arrival will be followed by a motorcade drive to the Pearls Speedway, St Andrew — where the cars will overnight in preparation for Saturday’s race start. Approximately 35 visiting cars are expected to arrive in March in addition to 12 local race cars to participate in the event. 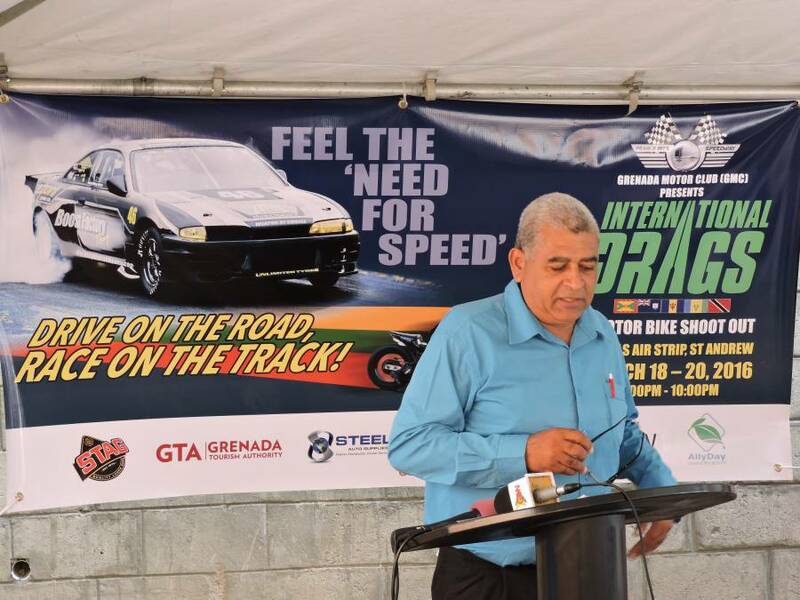 “Over the 15 years that we have been involved in organising motor sports in Grenada, we have seen good growth in racing visitors and their entourages, alongside an ever growing interest in Grenada”, commented Ian DaBreo, Public Relations Officer (PRO) for GMC. “Soft figures are in the region of $250,000 contribution to the country’s GDP with up to 500 overseas visitors at the International Drag Events” he stated. Motor bike racing has also become an integral part of the drag racing events, and as such the GMC looks forward to welcoming at least 6 visiting bikers alongside the resident bike racers who are invited to participate in a Motor Bike Shoot Out at the event. The launch concluded with thanks to the sponsors of the GMC International Drags: Steele’s Auto Supplies, Stag, Monster Energy Drink, Waggy-T Rentals, Grenada Bottling Company, MTV, DutyFree Caribbean, St Augustine’s Medical Services, and AllyDay Creative Projects. Finally, racer drivers, bikers and sponsors were invited to join the GMC on their ‘Island Drive Around’, on Saturday 20 February to encourage even more local support for the March event. Support from all sectors was evident on that date with the GMC expressing their delight and great anticipation for exceptionally successful Drag Racing events for 2016 and beyond. The 2nd annual event will take place in October 2016. Dates to be advised.